NEW YORK—Tooth loss begets more tooth loss. When a tooth is removed, it can cause the jawbone to weaken, undermining the foundation of surrounding teeth. Besides tooth extraction, gum disease, infection, misaligned teeth, dentures, bridges, sinus issues, and trauma can also cause weakening of the jawbone. Dental implants for missing teeth can help prevent further deterioration. A dental implant is a titanium screw that is inserted into the place of the missing root, topped by a tooth milled from ceramic (a crown). The titanium screws are coated with a bone-growth stimulator that promotes bonding between the bone and the implant. The body thinks an implant is a tooth, and bone will grow around and conform to the shape of the new metal “root.” It forms a tight bond that is even sturdier than the original root. 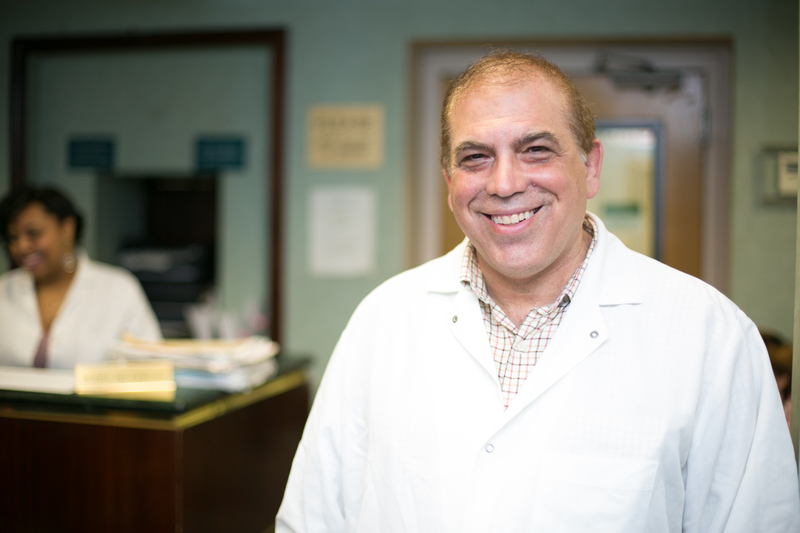 This way, implants can save you from losing more teeth, a big advantage over other dental prosthetics, according to Dr. Mark Zahler, director of Dental Implants NYC. “With bridges and dentures, bone can keep getting lost. You keep getting shrinkage,” he said. Implants also look and feel like natural teeth, which is a big plus for many patients. In addition, with a series of expansion screws, it’s possible to place implants without drilling away any bone, Dr. Zahler said. Expansion screws look very much like implant screws but are made out of stainless steel. Dentists insert a small screw first, one that will widen the root hole of the missing tooth with only a little pressure. Then the first expansion screw is removed and a slightly larger one inserted to stretch the bone a bit more. 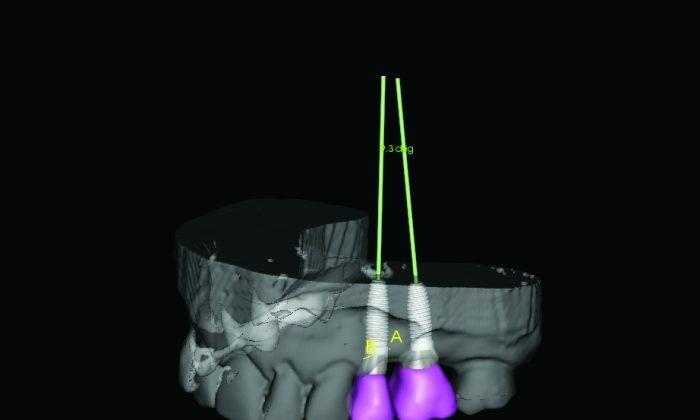 This process repeats until the hole is the right size for the implant. Bone is elastic and able to expand and contract like a rubber band, Dr. Zahler said. When the implant is finally inserted, the bone clamps on to it like an elastic waistband around a waist. “It closes down like a pair of pants—and is tighter than it was beforehand,” he said. If a patient’s jawbone has a deteriorated a lot, bone grafts may be needed before an implant can be placed, Dr. Zahler said. Grafts can be done with either synthetic or natural bone (usually cow or cadaver) and can be the best option when bone in the upper palette has eroded to the point that the sinus cavity shifts downward. In order for an implant to be successful, there needs to be enough bone to hold it in place. In order to tell if there is enough bone to hold an implant, Dr. Zahler uses a 3-D CAT-scanner. Called the Orthopantomograph OP300, the scanner—which costs around $400,000 and is still pretty rare, according to Dr. Zahler—allows the dentist to see where nerves and sinuses are and where the bone is dense enough to support an implant. These scans are a huge improvement over conventional X-rays. “The 3-D scanner lets you know that you have enough bone to place [the implant] in,” Dr. Zahler said. “[A] regular X-ray is a flat thing. You can’t see how thick the bone tissue is, how thick the gum tissue is, where the nerves are,” he said. After taking the scan, the dentist uses imaging software to “turn” a simulation of the patient’s head to preview how different brands of implants will work in a patient’s mouth and at what angle the implants should be placed. While for many people, implants still seem like a big deal to get, advancements in technique and technology have made placing some implants faster and easier than having a cavity filled, Dr. Zahler said. In the 1980s, when he first started doing implants, the procedure took around an hour. Now the procedure can be completed in a few minutes, he said. If the patient’s bone is in good condition, the dentist can place the titanium implant during the patient’s first visit. At a second visit, the dentist places the abutment—the piece that connects the crown to the root. At a third visit, the crown goes in. The time between a first consult to walking out with a new tooth depends on the condition of the patient’s bone. According to Dr. Zahler, for most patients who have implants placed on the bottom, it takes around three months, and for patients who have implants on the top, it takes about six months. The wait time gives the bone a chance to adhere to the implant. “You don’t want any pressure on the implant, so it can integrate with the bone,” Dr. Zahler said. On a note of caution, Dr. Zahler said that although implants are now appropriate for many more people, if you have diabetes, take osteoporosis medication, or have had radiation therapy, you should talk to your dentist because these treatments can impair the ability of the bone to heal and may cause an implant to fail. A study published in the journal Antiquity has revealed the discovery of an Iron Age tooth implant among the remains of a Celtic woman in northern France.